If you find yourself in this Rocky Mountain town, try one of these spots for a great meal. 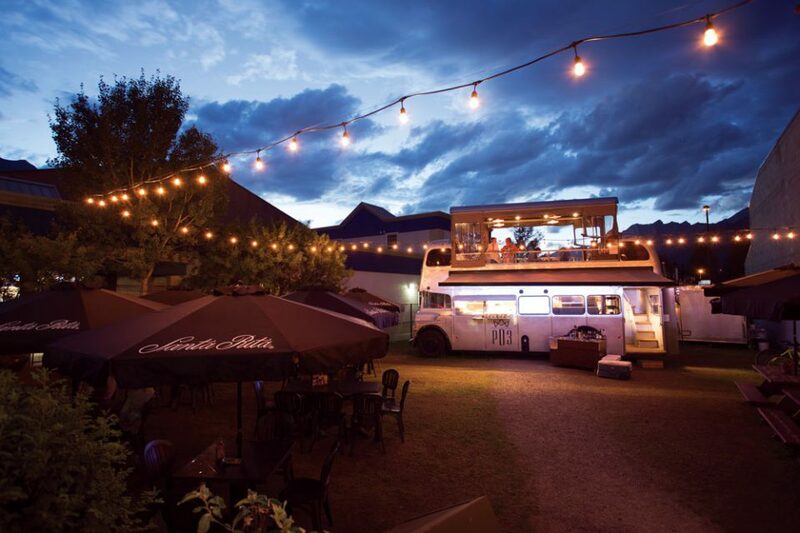 Blake Flann is rapidly building a culinary empire in Canmore, due largely to the success of his innovative double-decker food bus PD3. Downstairs it’s a walk-up food truck focusing on Asian street food and a fully operational kitchen. The upper deck is a proper restaurant serving up sandwiches and charcuterie at lunch and fun and surprising chef’s creations for dinner. PD3 opens for the season in May (along with Flann’s Japanese hot dog truck YuGo Eat). Look for a new restaurant (in an actual building) called Blake, scheduled to open later this summer. 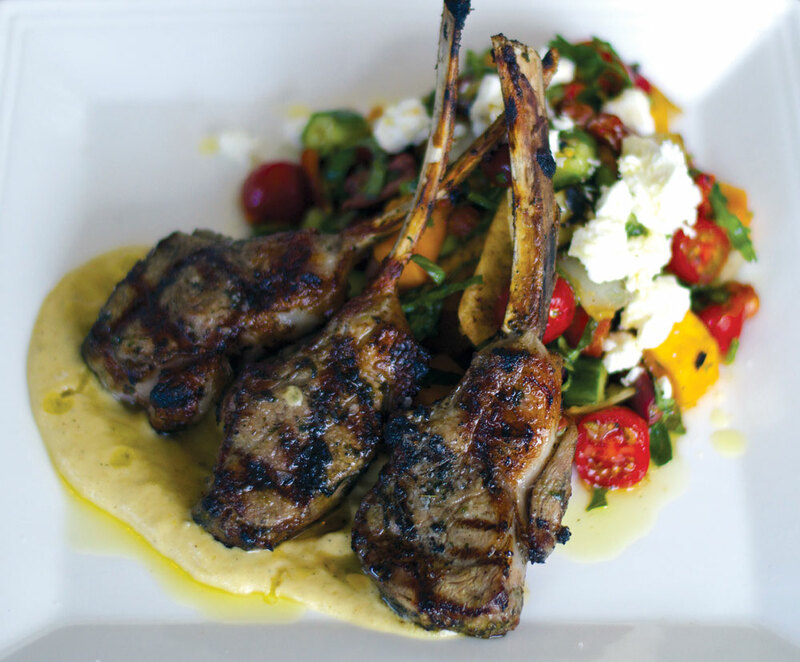 This restaurant alone is worth a drive up to Canmore – chef and owner Jan Hrabec has created a dining destination with her creative menu that draws inspiration from flavours from around the world. The entrees and appetizers are definitely on the more elevated end of the spectrum, but you can also pop in for a wood-fired pizza for something more casual. 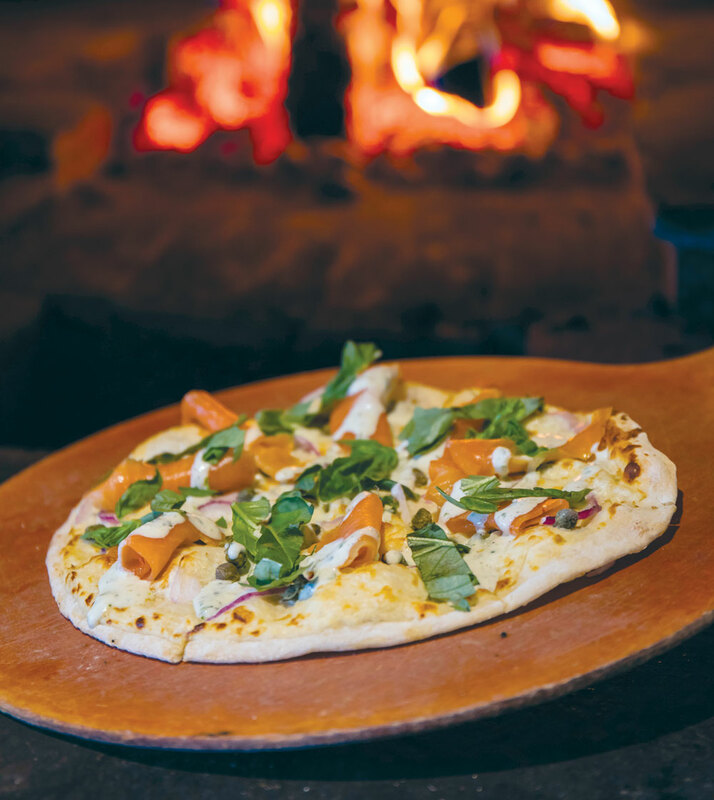 Yes, “flatbread” is basically a fancy way of saying “pizza,” but despite its artisanal ovens and gourmet toppings (everything from fig and brie, or bacon and blue cheese, to classics like good ol’ pepperoni), this family-friendly spot is comfortably laid-back. If the pizza doesn’t fit your mood, the menu is rounded out with salads and pasta dishes. There’s even a play area tucked in the back so kids can burn off some energy while waiting for their pizza.